Dave Stumpf, owner of Paintworx, has well known skills as a custom painter as well as a collision repair expert. 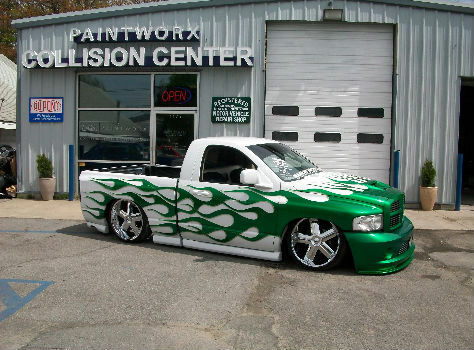 With 15 years experience, he has worked on many award-winning custom paint projects. Paintworx Collision Center specialzes in a wide variety of custom paint projects consisting of bike, boats, cars, all-terrain vehicles, and helmets.